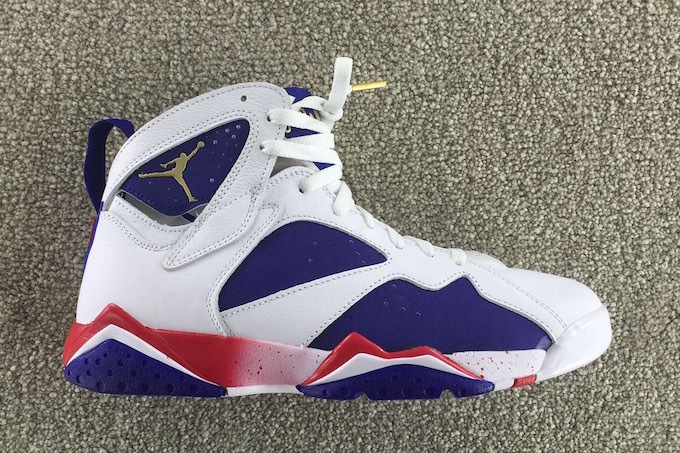 The Air Jordan 7 “Olympic” is set to return as part of Jordan Brand’s Fall 2016 lineup. This time around the classic “Olympic” Air Jordan 7 will receive the remastered treatment – unlike the 2012 pair. Dating back to the iconic ’92 “Dream Team” in Barcelona as well as Mike’s rookie season in 1984 in Los Angeles, the number 9 was worn by Michael Jordan while representing Team USA. That exact #9 is placed on the heel, which is one of the key features to this classic release. This Air Jordan 7 features a White upper with a mixture of Metallic Gold, True Red and Obsidian Blue throughout the entire silhouette. UPDATE: Here’s the first look at the “Olympic” Air Jordan 7 that will be dubbed, “Tinker Alternate” drops on August 6th, 2016. 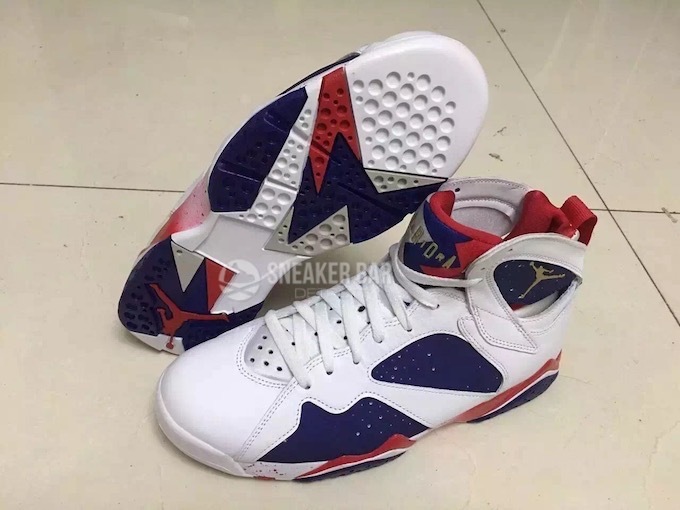 UPDATE: The upcoming Air Jordan 7 “Olympic” that is set to release this Fall 2016 is actually a “Tinker Alternate” Air Jordan 7 edition. While the shoe is expected to look a lot like the “Olympic” release, this alternate version will have a bit of a new twist to it, something that Tinker Hatfield would have designed for Michael Jordan in 1992 to wear for the Dream Team. Stay tuned to Sneaker Bar for further updates as they develop.